In WONDER WOMAN VOL. 3: THE TRUTH, we see a shockingly vulnerable Diana. Something that, as writer Amy Ratcliffe points out in this breakdown, also demonstrates how strong of a hero she really is. In a world where heroes and villains with extraordinary abilities from magical locations or alien planets exist, how do you draw a line of belief? It's a question for the readers and for the characters in WONDER WOMAN VOL. 3: THE TRUTH by writer Greg Rucka and artists Liam Sharp, Renato Guedes and Bilquis Evely. Diana is confronted with an internal enemy rather than one she can lasso and punch. It’s a fight unlike any she's been involved in, and the way she handles her break with reality and claws back into the game is at the heart of this volume. But before she could do battle, those around Diana had to realize she needed help they couldn't offer. Watching anyone go into a catatonic state is jarring, but when it's a loved one and someone you've known to be incredibly strong in myriad ways…well, it's a challenge. Wonder Woman is Wonder Woman. To understand she's as mentally vulnerable as all of us is hard to swallow. Still, Steve managed it and got her into Nightsong Hospital. Both Steve and the readers had to face a world in which Wonder Woman wasn't in her right mind. Her existence means we believe in what should be impossible. She's more than a person. She's a hero, an Amazon. She's an ideal. To see that ideal in such a raw, defenseless state challenges belief. We have a lot to process, but The Truth isn't about us and it isn't about Steve. It's about Diana. She had convictions of her own to defy and accept. And she talked them over with a snake. That lives in her arm. Because why not push the line of belief further? All things said, Diana was relatively unruffled by a snake emerging from a hole in her arm and pointing out how her fundamental truths have been shaken to the core. The snake questioned what was real and what wasn't, and it was really Diana asking herself those questions under the surface. She didn't want to voice her doubts and fears, so it was like a part of her subconscious took control and pressed the important buttons...with a reptile. Because of these conversations with a snake, a.k.a. herself, Diana grappled with the deception about her visits home. By understanding the role her beliefs played in making the lies truth to her, she was able to untangle it all and put herself back together. At least to an extent that made her ready to return to the world when the Kythotaur Ferdinand arrived at Nightsong with a kind word and gentle guidance. Diana recovered from her time in the hospital by getting back into action. She's not the type to take a vacation. The world needed her, and she answered the call and went after Team Poison. The pursuit led her to even harder truths about who perpetuated the lies and manipulation of her memories. It was one more hit for Diana to absorb. Another jab to her core, the center of what she's built herself on. This wasn't a small, white lie she could move past. Finding out about the patrons withholding information and fabricating entirely new material to uphold their duplicity would have broken many people and sent them right back to the mental hospital. Not Diana though. Diana not only stood tall in the face of learning about the patrons' deceit, she found a way to push the pause button on her anger and hurt and find love in her heart. 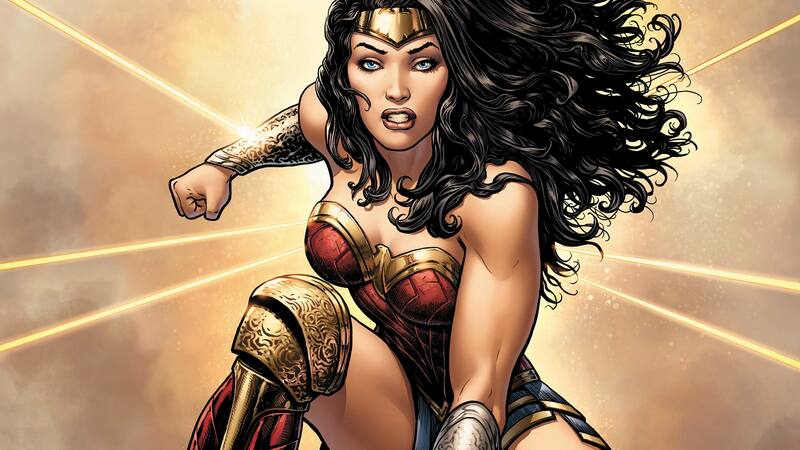 Wonder Woman is remarkable for a number of reasons, including how she was able to switch gears from her own shocking discoveries and focus on saving the Amazons of Themyscira. We all want to be able to put ourselves before others in that way, but not all of us are strong enough—especially not when we have our own hardships to focus upon. Wonder Woman put her sisters first by dealing with Ares' sons Phobos and Deimos. She took a page from Aphrodite's love for Ares and showed Phobos and Deimos warmth and compassion while holding the Lasso of Truth. She told them they didn't have to be afraid and that they were loved, which are sentiments she could have stood to hear when she was working on her issues at Nightsong. She extended a hand, and despite whatever personal challenges she may be experiencing, she always will. That we can believe with certainty. Have you read Wonder Woman Vol. 3: The Truth? Head to the comments and share your thoughts about the patrons' actions, Diana's recovery and everything else. Amy Ratcliffe writes about Rebirth and DC Super Hero Girls for DCComics.com and covers Supergirl for the #DCTV Couch Club. Look for her on Twitter at @amy_geek. WONDER WOMAN VOL. 3: THE TRUTH by Greg Rucka, Liam Sharp and Laura Martin is now available in print and as a digital download. Titans: Whatever Happened to Wally West?